Director Dave Filoni has become a key creative member of the Star Wars universe in the past year. 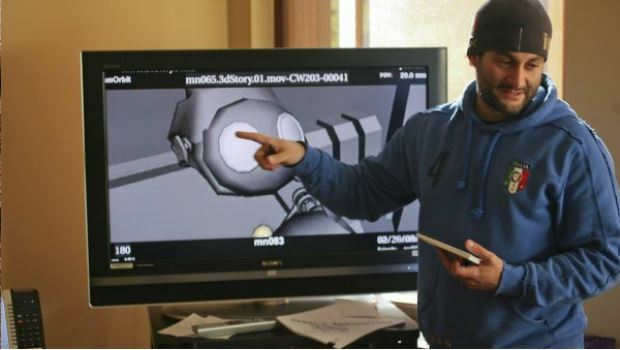 First he directed 2008’s feature length Star Wars: The Clone Wars animated movie, and has since worked on the television series which followed. How did you come to work on The Clone Wars – the film and the series? I have always been a Star Wars fan, but I never thought I’d have the opportunity to work on it. When I was working on Avatar: The Last Airbender, we would discuss our stories using Star Wars vocabulary, because we were all fans, and because Star Wars is such a cultural touchstone. It has a very specific brand of storytelling, and it’s an effective shorthand, particularly in my industry. So when I got the call to come interview for The Clone Wars, I thought my co-workers were playing a joke on me. When I realized it was the real deal, I didn’t think I had a chance; my experience had all been in 2D, and I’d never worked with computers at all. I just wanted to interview so that I could say that I’d interviewed to work on a Star Wars series. But George and I got along right away, and I found out that day that I’d gotten the job. How would you describe the focus of the series? In what way does it add to the Star Wars story told through the feature films? The movies don’t focus on the Clone Wars, but it was a time of galactic turmoil. As we’re told in the opening of Episode III, there were heroes on both sides; it was a full-blown conflict, but we never got to see any of it because the films were focused on the fall of Anakin Skywalker. With the series, we are able to dig deeper, to see some of those other stories. Also, in Episode IV, Obi-Wan refers to Anakin as a great hero and a true friend, but we never get to see that side of him in the live-action films. So it’s fun to look at Anakin as a hero; he’s kind of a mix of Han Solo and Luke Skywalker. Would it be fair to say it is aimed more at the younger Star Wars fans? Star Wars has always been aimed at 10 year old boys – all the way back to the very first movie in 1977. That’s George’s directive, and that’s Star Wars. Any addition to the Star Wars mythology is met with a lot of scrutiny from fans. How does that pressure affect the creative process? We are just focused on telling the best stories we can tell. And Star Wars comes from George; he knows what feels right, because it’s all from his imagination. We love and respect the fans, and there are definitely times when the expanded universe has influenced our stories. But ultimately, our creative process is informed by George. The 3-D animation is very distinctive, how much freedom does it give you when deciding how a scene should look? We work with digital previsualization, which is kind of like a moving storyboard. It allows us to block the action with a real cinematic depth of field, as opposed to most animation, which is plotted out in two dimensions. We can move the digital camera as if we were working in live-action, which is unique for TV animation. How much contact have you had with George Lucas while working on The Clone Wars? How passionate is he about continuing to tell stories from the Star Wars galaxy? George is very involved. This is his creation, and he has a hand in making sure it’s handled correctly He’s very involved in the stories, in the character development, in the editing. He’s a part of every aspect of the Clone Wars. What’s up next for you? Any more work on Star Wars planned? We are working on more Clone Wars!